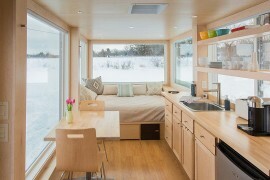 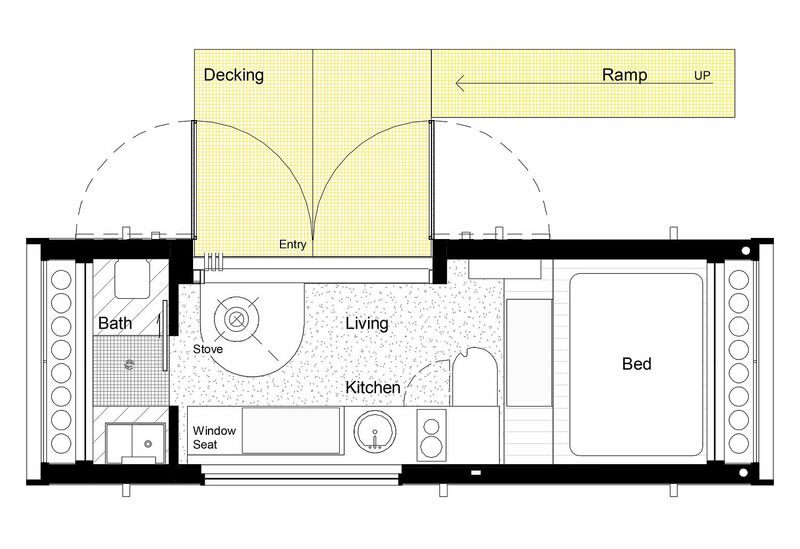 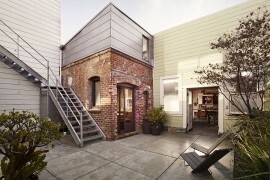 Tiny Home with Green Technologies and Automated Controls is Here! 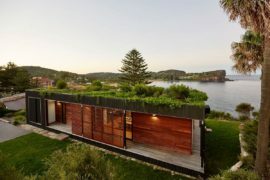 The home of the future needs to be one that does not depend on grid for both power and resources. 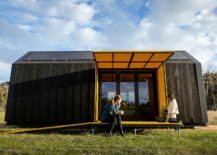 In a world where natural resources are becoming rarer by the day, it makes sense to opt for a modular and mobile home that can create its own power and resources. 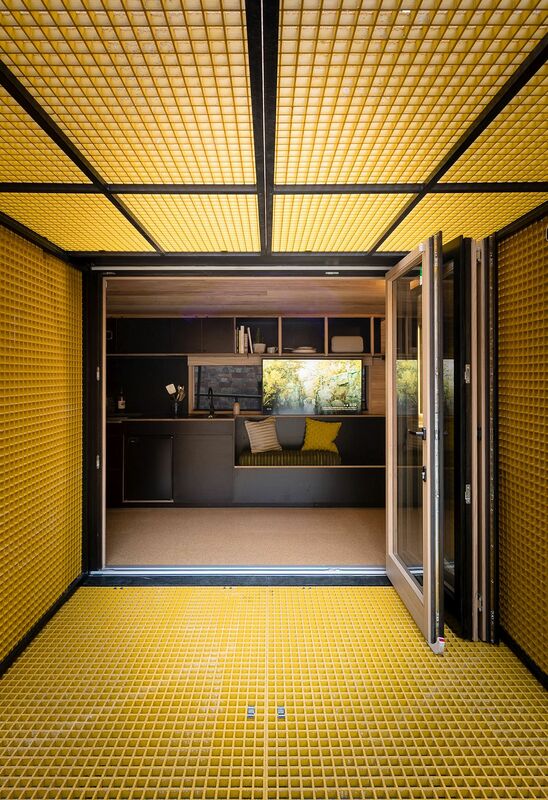 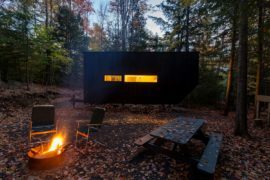 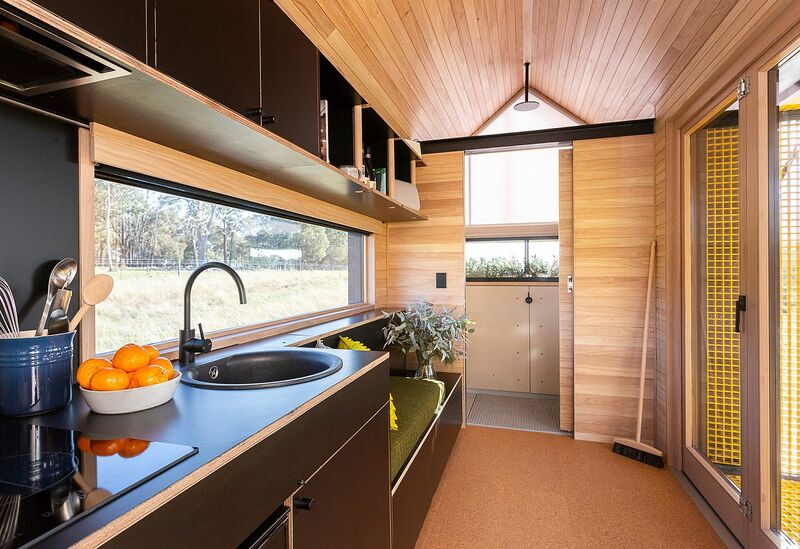 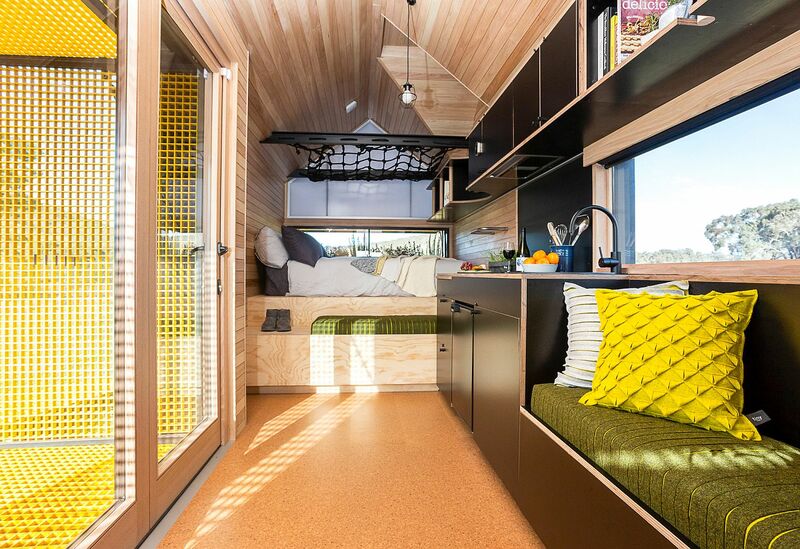 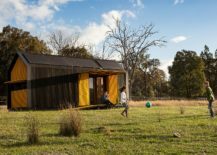 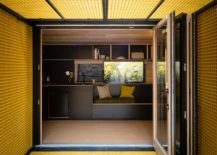 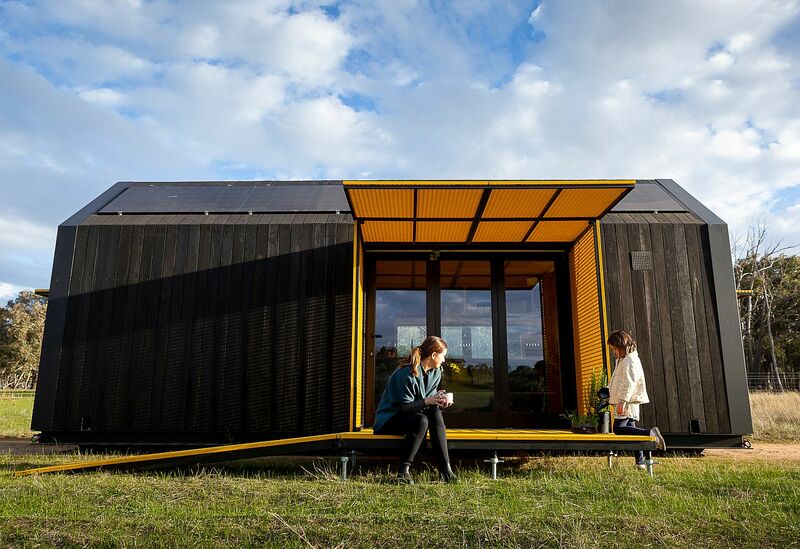 The Tiny Home designed by Maddison Architects is one such gorgeous and cleverly designed modern residence that saves space and energy and does so with zero carbon footprint. The house was built using spotted gum on the outside and metallic frame on the inside. 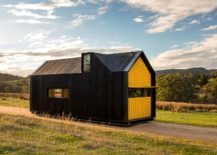 With a gabled roof and a dark exterior the house feels classic in its appeal and yet its modern sun shades with girded pattern in yellow give it a futuristic vibe. 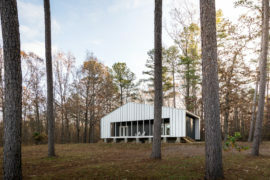 Photovoltaic panels, smart water management systems and other energy-efficient features have been seamlessly integrated into the frame of the house without the need for additional wings. 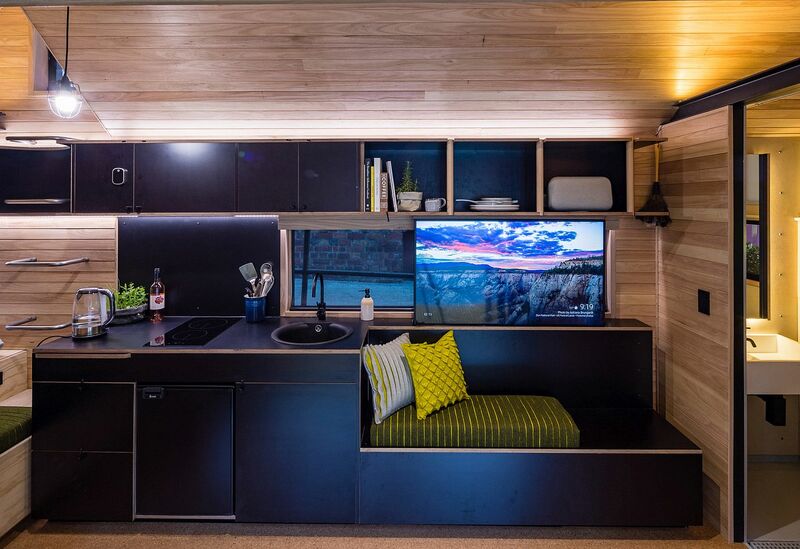 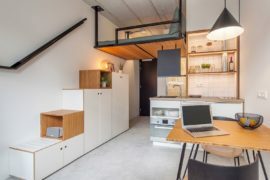 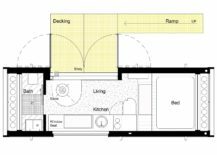 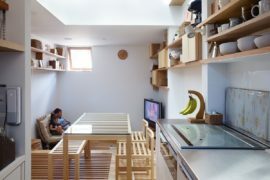 On the inside, a space-conscious single wall kitchen, a loft bedroom and tiny living area create an efficient and relaxing environment. 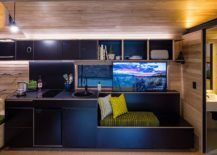 With more than 60 percent energy efficiency, passive cooling techniques and automated technology that can control everything from the home gadgets and security to wifi and a whole lot more, this is a residence for those who wish to take it easy! 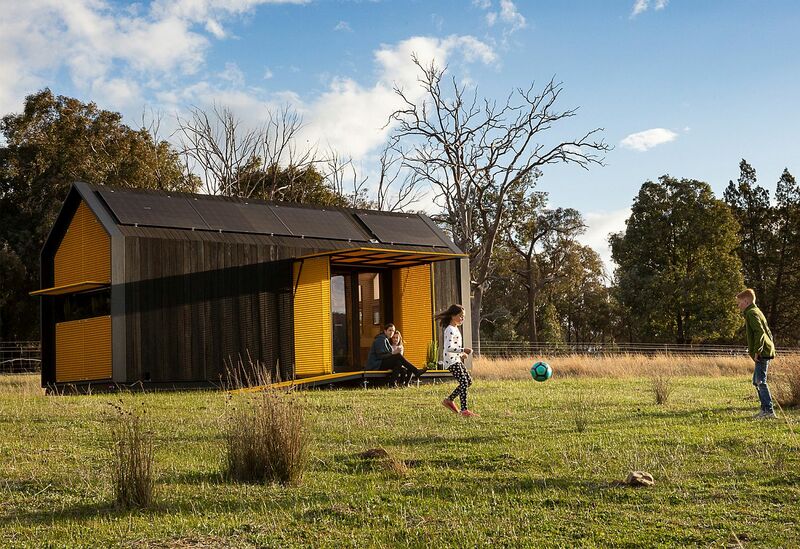 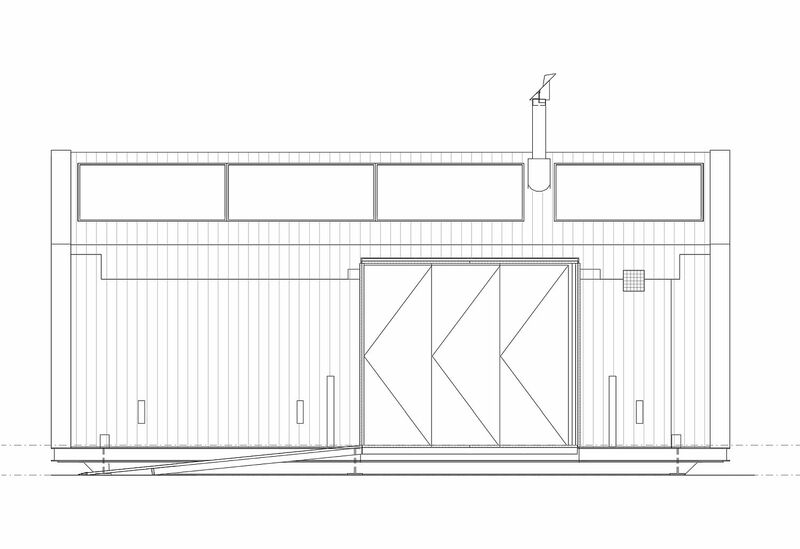 The finely spaced external spotted gum cladding is intended as a rain and sun screen. 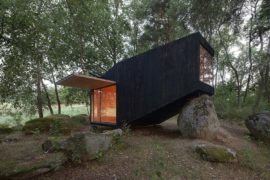 It would suit certain BAL applications, being Category 1 wood with a charred finish. 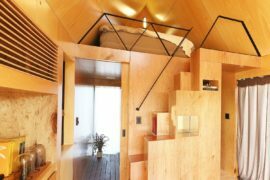 Acknowledging the principles of biophilic design the interior is lined with radial sawn Vic hardwood, planting is included in window reveals. 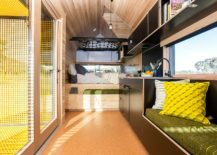 A collaboration with Clare Kelder (Graphic Designer) resulted in Australian wool and felt being used for purpose designed soft furnishings.